The first time I stepped foot into the middle of a Lazarus event I knew that I was in the midst of a good thing. A week later I stood on a downtown Atlanta street in the middle of what could best be described as a carnival-like atmosphere. Tents were scattered everywhere. People were singing hymns. There was even a dunk tank. The event was just wrapping up, so I found Allison (on the roof of a building giving orders through a walkie talkie like a field general) and told her to tell me what to do. I spent the next three hours breaking down tents, loading tables and chairs into a moving truck, and loading everything back into storage until the next event. I was dog-tired at the end of it, but the sense of joy I felt was stronger than any muscle soreness. Over the next five years I helped out primarily at Lazarus’ three annual Atlanta events. It wasn’t always easy. One particularly hot Health Day I took on the task of helping fill dozens water coolers and hauling them back and forth across the street to the drink station. I came down with strep throat the day before one Christmas Dinner, but I kept my commitment to help prepare mashed potatoes (don’t worry, I used a whole bottle of hand sanitizer while preparing it). But it was often just as fun. 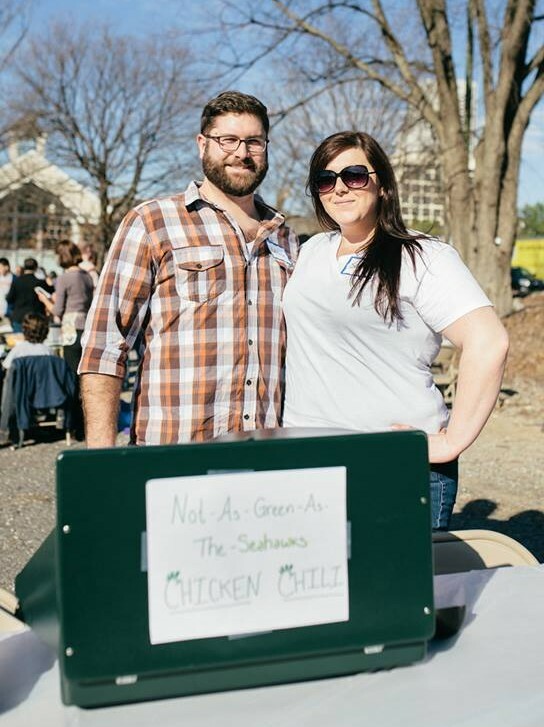 My wife and I spent our first year as contestants in the Super Bowl Party & Chili Cook-Off convincing skeptical clients and volunteers that our bright green chili was not only edible, but delicious. I’ve torn down the streets of downtown Atlanta on more than one occasion in the old Golden Malted Waffle van to deliver equipment for event set-up. But the one thing that has stuck out the most over the years about Lazarus events is the atmosphere. Volunteering never feels like hard work even though you work hard. It feels like you’re throwing a party for all of your friends. That year I practically force-fed people our green chili (which ended up finishing fourth place) I spent the evening huddled around a space heater with a group of people cracking jokes about the Super Bowl commercials. I spent one Health Day making plenty of new friends by handing out a mountain of sack lunches that we had prepared for all of the clients and volunteers. We then handed out seconds once we realized we had made way too many of them. If you had to summarize Lazarus in one word, that word would be kinship. And nowhere is the spirit of kinship stronger than at a Lazarus event. 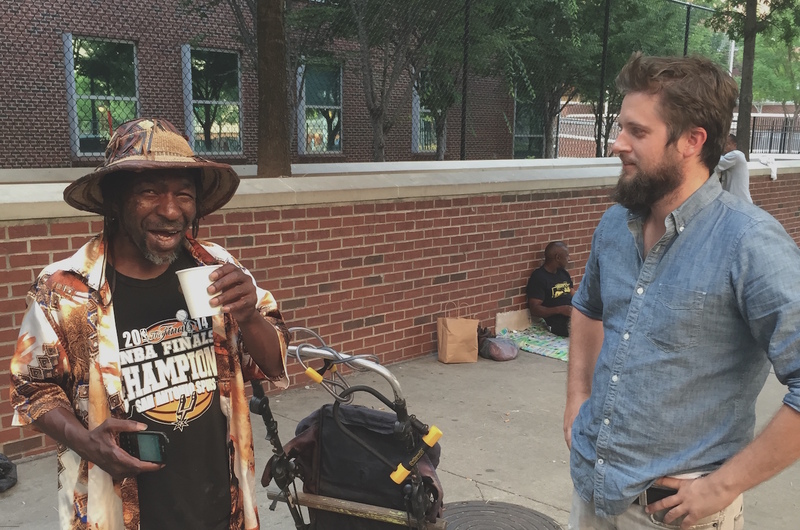 David Kowalski leads one of our Atlanta weekly outreach teams. Read the interview below to find out why he volunteers his time in this way and how you can get involved too. How long have you been volunteering with Lazarus? I started volunteering with Lazarus nearly 10 years ago around 2006. Originally it was because Allison (the founder of Lazarus) needed folks and asked me to volunteer, but it soon became a bigger part of my life and I started to understand Lazarus as a whole. My motivation was different than just being needed. Once I started to see people come out of homelessness and see people stay in homelessness and see where Lazarus existed in that context was what made me keep serving. What’s the best part of leading one of the Weekly Teams? It’s something different every week and I love that. It’s different volunteers and its different people we serve. At first it was really hard because the population you serve in Lazarus can be transient so when you think you are making a difference in someone’s life, the next week they have moved on and you never see them again. It really taught me what it means to serve and made me look at my real motivation. It’s not about what you get out of it but truly how you can meet people where they are. It’s an unusual context for serving because you don’t always see the results. I think we sort of live in an age of instant gratification on all levels, even with how we serve. We want to have success stories and we want to make it something we can put on Facebook or Instagram. Working with people who are homeless and their transient culture sort of eliminates that. That is one of the best parts, it’s taught me to look at my motivation. One of the most regular volunteers on the team I lead is in middle school, it has been so interesting to see that interaction. Its not a PG environment, but it’s the real world and its been interesting to see what that looks like for a kid to interact with people who are facing homelessness. I’m grateful his parents see the value in that and grateful he keeps coming back. Looking back over years, is there a particular story or person you’ve met that sticks out in your mind? Someone you grew especially close with? There was a guy named JQ that would always be there when we pulled up with the lemonade or hot chocolate. He was super bright and personable and according to my construct of society, should not have been homeless. But he was, due to some bad decisions and life circumstances. I think he taught me a lot about what it means to treat people like a human being and not as a homeless person or anything else for that matter. He was just a normal human being that happened to be homeless at the time and we had normal conversations. We struck up a friendship and I would check in on him and how his job interviews were going and he eventually got a job in IT and moved to his own place. Few things will give you more hope in the world than to see someone transition out of homelessness. To see the excitement when they have an interview and get a job or when they find a place of their own. I think Lazarus bridges the gap for a lot of organizations. If you let it, serving with Lazarus will teach you a lot about humanity. I think anybody who volunteers on any level would tell you that it helps you more than it helps the other person which has been 100% right for me. I think short term, we hopefully make people feel included. Long term, hopefully we help people get out of the cycle of homelessness. We don’t give out food and we don’t give out homes, but hopefully we give them a moment where they don’t feel “homeless” and feel like a normal person deserving of dignity. Whether they get out of homelessness or not, I hope we make them feel valued. Stick with it. It’s not an instant solution, but it has impact. You need to stick with it and put your heart in it. Learn the people’s names. Learn their problems. Pray for them. That is advice to myself too. The same goes for any other context in life. Emily Morris helped start our involvement in the Financial Foundations Class at City of Refuge and co-leads each 8-week class with Holly Seddon. Read below to find out why she volunteers her time in this way and how you can get involved too. 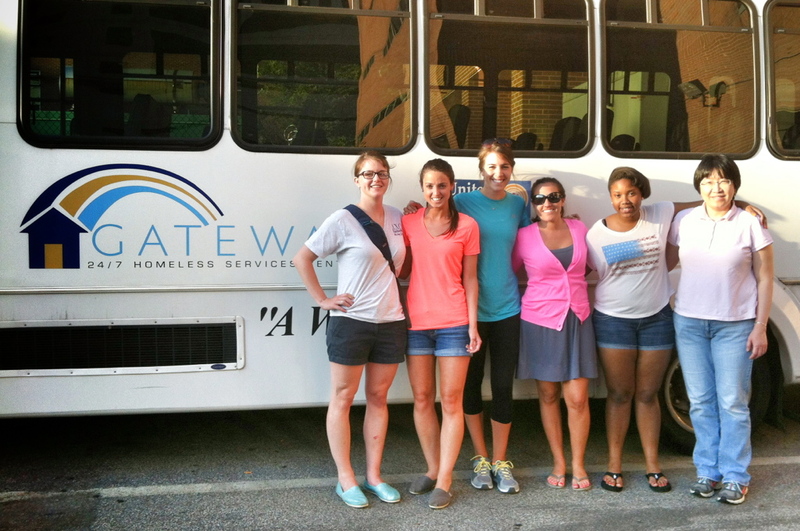 It will be 2 years in July — I began volunteering in the summer of 2013 serving lasagna dinners to women and children who were, at the time, staying in a makeshift shelter setup in the lobby of Gateway Center. When the emergency shelter for women and children was moved from Gateway to City of Refuge, Ben and I met with Seth at City of Refuge to see how we could best help that population. Our involvement in the Financial Foundations program was built from there. What prompted you to get involved with Lazarus, and then keep serving? If I remember correctly, I decided to check out Lazarus after hearing about it at Trinity, and I figured serving lasagna (or any type of food) was right up my alley. I also volunteered with the resume workshops and one of the big events, but I was always drawn toward the women and children. I’m pretty sure the first Financial Foundations session hooked me – I fell in love with getting to share life with these mothers and their kids once a week! Can you tell us about the program you lead at City of Refuge? During a larger 4-month program, City of Refuge offers an 8-week Financial Foundations course, which teaches them immensely valuable lessons for managing money and preparing for employment. 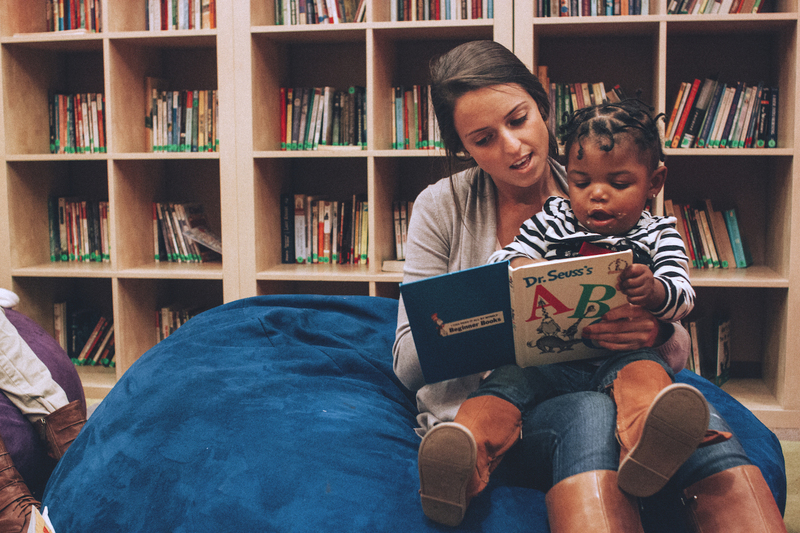 Lazarus has partnered with City of Refuge to enhance this learning experience by offering childcare to women who attend the Financial Foundations class. Before Lazarus, women had to bring their children to the Financial class with them. There are often 12-30 kids per session. You can imagine how productive that must have been for the mothers…! 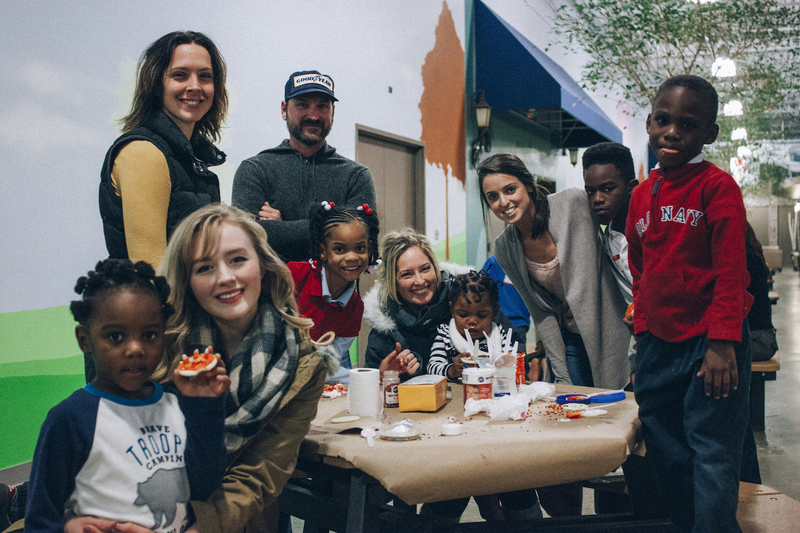 On Tuesday nights, a group of Lazarus volunteers spends time with the kids playing games, helping with homework, doing arts and crafts, reading books, and running around in a huge (awesome) indoor playground while their mothers take the Financial class. These children, who are often hugely affected by being uprooted, homeless, and living in a shelter, need and absolutely love having consistent, positive interactions with adults and Lazarus volunteers are happy to give them the attention they need! Recently, we have also partnered with Operation Hope to begin offering a new program called Banking On Our Future. This class is for kids 10 and up, and the curriculum mirrors what their moms are learning. It’s a fun environment for the kids and inspires positive discussion about money within the family. Looking back over the first year and a half of our involvement with Financial Foundations, is there a particular story or person that sticks out in your mind? Someone you grew especially close with? During the first class session at City of Refuge we met Hazel and her four kids, who happened to be moving out of City of Refuge about a week before Christmas and they wouldn’t be able to receive the holiday assistance from the shelter. Hazel inspired me– working two jobs and attending the Financial class (which is not required for women who already have jobs)–and our group encouraged her to put together a wish list that we sent out to our networks for donations. Our community overwhelmed her not only with Christmas presents, but also with all of the furnishings needed for her new apartment. While this was not expected or required, it was a huge statement of love and support for her success as she stepped out of the shelter into self sufficiency. Hazel and I are still friends today, and she is a constant reminder of exactly what Lazarus teaches: when our relationships have no social or economic divide, lives are enriched. Lazarus takes an entirely different approach to the problem of homelessness than any other group that I have seen, and I see its immeasurable value not only in itself, but also in tandem with other programs and partners focused on homelessness as well. Immediately, building relationships with men and women in our city who have been marginalized gives meaning to our lives and conversations. Over time, the trust we can build and the dignity that we can encourage promotes hope, ambition, and self-sufficiency, and the partnerships Lazarus has made with complementary organizations adds structured programs and resources to support these relationships socially and economically. Whether it’s sharing a cup of hot chocolate on the street or congratulating the move from a shelter to a new home, the individual and organizational impacts of Lazarus begin immediately and last a lifetime. Just Do It! Seriously, I promise you have the capacity to invest in loving your neighbors, and the return is eternal. 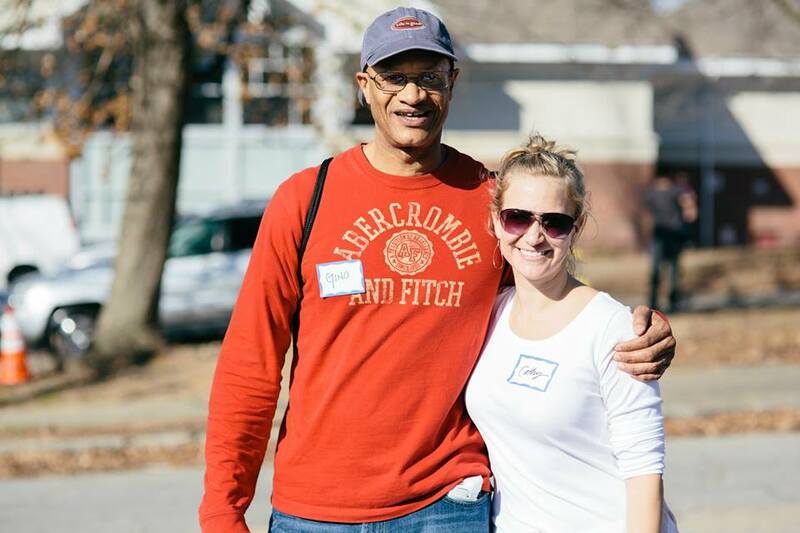 The group of Lazarus volunteers I have the privilege of serving with each week are some of the most inspiring and busy people I know, and their commitment to walking alongside our city’s homeless population as brothers and sisters makes all of our lives better. Now is the best time of your life to get involved! 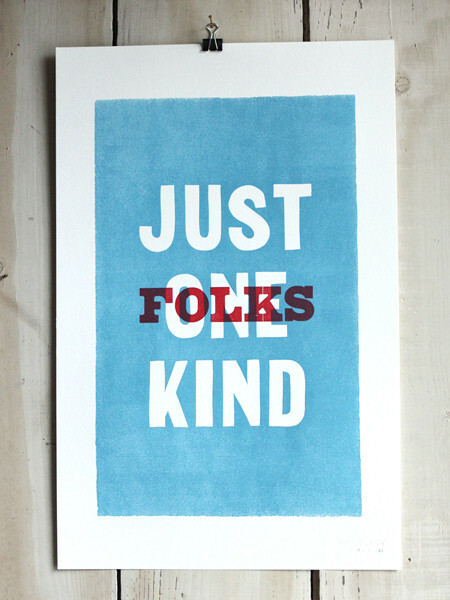 Naw, Jem, I think there’s just one kind of folks. Folks. – ‘Scout’ in the novel To Kill A Mockingbird by Harper Lee. There are no ordinary people. You have never talked to a mere mortal. Nations, cultures, arts, civilizations – these are mortal, and their life is to ours as the life of a gnat. But it is immortals whom we joke with, work with, marry, snub and exploit – immortal horrors or everlasting splendors. This does not mean that we are to be perpetually solemn. We must play. But our merriment must be of that kind (and it is, in fact, the merriest kind) which exists between people who have, from the outset, taken each other seriously – no flippancy, no superiority, no presumption. And our charity must be a real and costly love, with deep feeling for the sins in spite of which we love the sinner—no mere tolerance or indulgence which parodies love as flippancy parodies merriment. Next to the Blessed Sacrament itself, your neighbour is the holiest object presented to your senses. 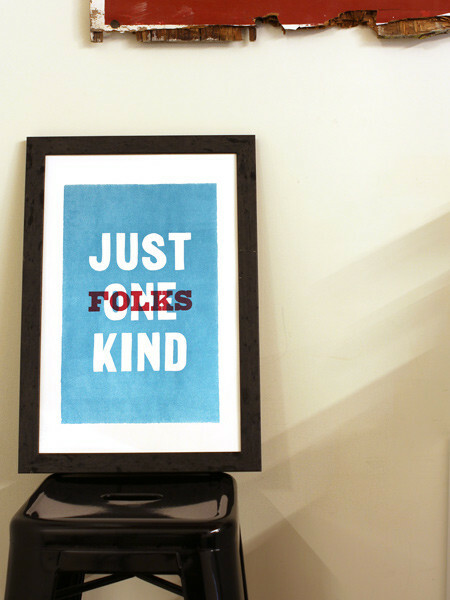 So, we are excited to announce that we’ve partnered up again with our friends at Old Try on a new limited edition run of 100 letterpress prints based on their design from the NO ORDINARY PEOPLE benefit. We will be offering the prints for $50/each at Trinity Anglican Mission‘s Westside location this Sunday, May 17 & at the Eastside location next Sunday, May 24. If you can’t wait, or aren’t in Atlanta, you can order one directly from Old Try now. As is the nature of any handmade item, there are slight variations in inking & each one is perfect in its own way. 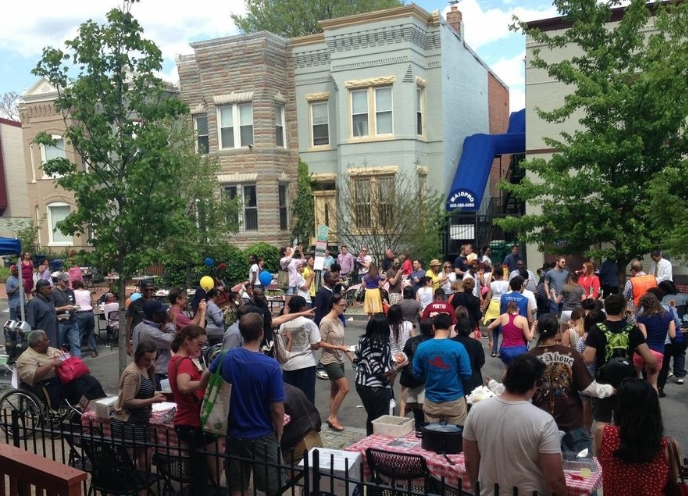 Our 2nd Annual H Street Block Party was a Huge Success! We served 400 King of Pops popsicles. We gave away over $1200 in prizes for the BBQ contest, cookie contest, dance-off, and Bingo. Nick was dunked 219 times in water that was somewhere between cold and quite cold. Thanks for helping us throw a great party for the community. 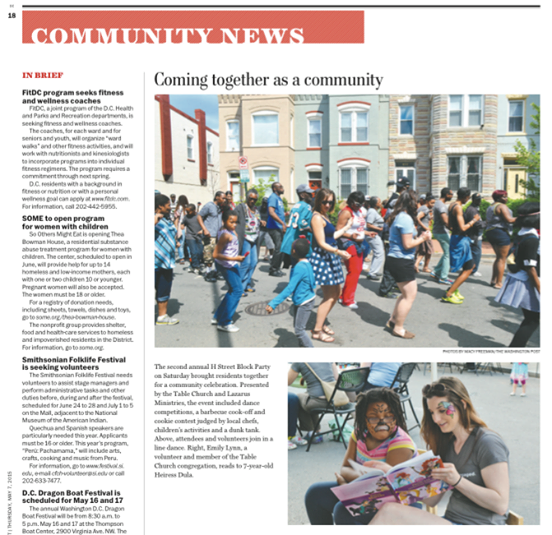 We are already looking forward to next year!The event even made the Washington Post! Check out the writeup and pictures below. Gino is a name I’d heard a few times at Trinity. My small group leader talked about him and how he hoped I could meet him someday. After gathering a few details here and there, I began to piece together parts of Gino’s story along with his connection to Lazarus / Trinity and decided to reach out to him. Ordinarily, I wouldn’t do this, but I felt compelled to meet him. When Gino and I met to chat, he shared with me his life story—about growing up and how after he entered the military, he was was caught completely off guard when he became addicted to crack cocaine. At the time, it was not widely known how devastatingly addictive it was and how quickly it shattered lives. After having spent 10 years homeless on the street, this mild mannered gentlemen sat with me and talked about his time on the streets, his recovery, getting off the streets, his faith, his hopes for employment, and more. I had seen homelessness up close before. When I was little, my father, who was a Chaplin in Rochester, NY., often took me on his visits to the local shelter. I saw how addiction and mental illness could cut down PHD’s, business owners, and all sorts of unlikely candidates. I saw how difficult it was to escape homelessness, to beat back addiction, to overcome shame, to enter mainstream society where they might not feel they even belonged anymore. I learned that people could become comfortable, even in misery. Gino related this to the Israelites in Egypt— an element inside you that looks backwards even when you’re moving forward. Gino overcame all of these things and continues to make it day by day with the help of his family, his friends, and Lazarus. 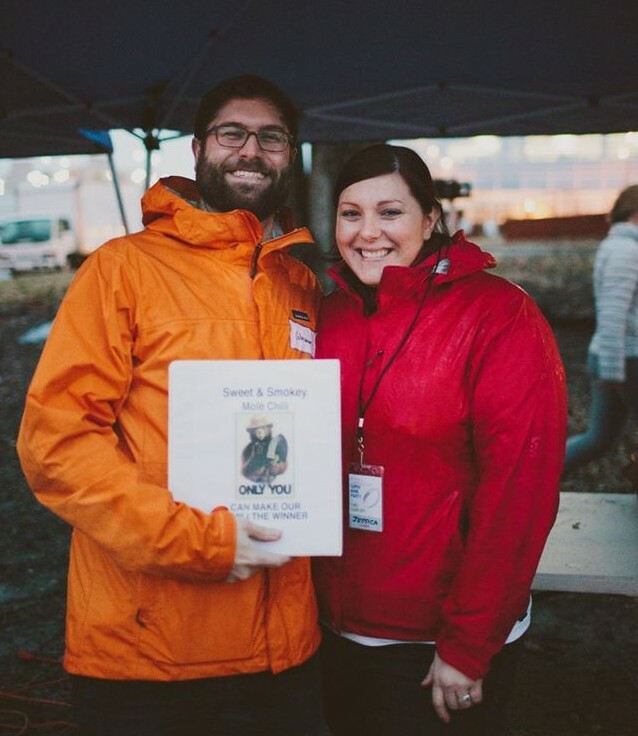 Today, he’s uses these experiences to speak truth and love into the lives of homeless people as his profession. Gino is an incredible man that I admire very much. However, despite all the ups and down, the trials, and the stories he has to share, it’s what his sister Charmaine did for him that really touched me. Sitting on the couch with Gino, I was thinking to myself, “Wow, 10 years on the streets is a long time. I bet you just get used to it.” Gino confirmed this and said addicts lose touch with family and friends after lying to them for so long. The shame is that powerful. On the streets, like anyone, they have friends they like and dislike, they have a routine. Days come and days go eventually turning into years. Gino said his sister’s unconditional love provoked a change in him. She was there for him when things started to fall apart and she didn’t know why and she was with him after learning of his addiction. During his 10 years on the street, she remained steadfast. Gino said he was one of the rare folks on the street who always had a phone, because his sister said that as long as she had money, he would have a phone and to call her. She sent him WalMart gift cards instead of cash, and would be firm with him in love. It was always in love and it was always unconditional. “Through the whole addiction, she stood by me. Charmaine never abandoned me. Once, she sent me a letter of rebuke in love, because she wanted the best for me.” What Charmaine did for her brother was to fully love him even aware that he would lie to her at times, he might lie again, and he may never escape his addiction. This is unconditional love and it deeply moved me. It continues to move me, because it’s what God does for us. At one point, Gino concluded he “couldn’t continue to use her,” and that’s when he decided he wanted to change. “It’s the goodness of God that leads us to change”, he says. It’s Christ-like, unconditional love that leads to the moment of clarity, a new way of thinking, or being born again. This is a powerful component for change and the most effective component. As part of Gino’s 12 step program, he went to Charmaine to make amends. She said you have nothing to apologize for and you owe me absolutely nothing. Charmaine’s only request was to stay clean. This is pure grace. 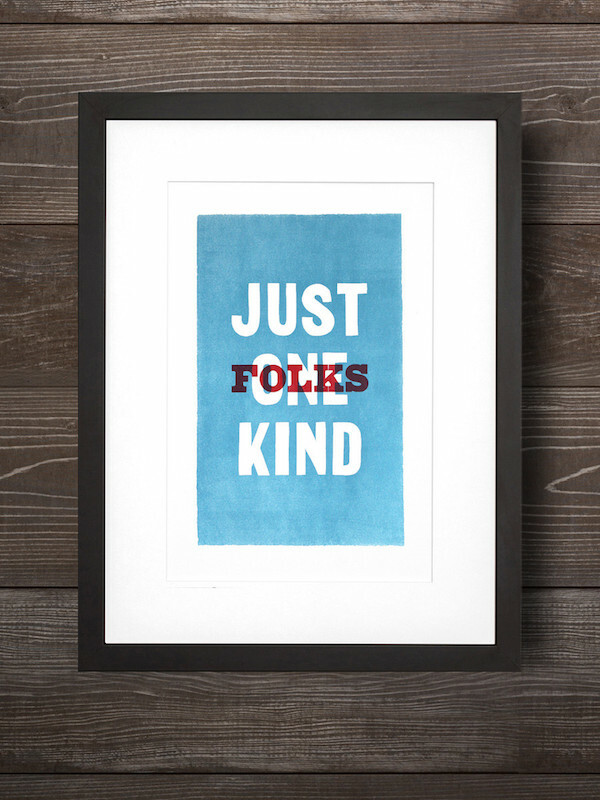 Turns out kindness works powerfully through us as well. I asked Gino’s advice for those serving the homeless through Lazarus and here it is: You can’t put people on a time table. We are called to love not to fix. Frustration will settle in, but we deal in obedience. Let your light shine. We are a reflection of God. This is a difficult thing. The human element slips in. We get frustrated, angry, and tired. With this mindset—a humble mindset—the person you are ministering to is not the only one being changed. So often, we put the emphasis on numbers. We say to ourselves, we need more Gino’s! We need more success stories! For the world to change, what we really need are more Charmaine’s. Her love for her brother is a beautiful reflection of God’s love for us and what we can do for others. Matt Warrens has been serving with Lazarus for quite a long time and on a very regular basis. Read below to find out what keeps him coming back, how he met his wife, and how you can potentially get involved, as well! It wasn’t the very beginning but has been a while. I started in 2003 and besides Alison there were three others who had been volunteering on a consistent basis. What prompted you to serve, and then keep serving? All the prompting was God’s, I’m a difficult person to get going on anything. For several years He planted seeds in my heart and stirred my compassion. It wasn’t until I found out about Lazarus that I understood what He was preparing me for. What has kept me serving over the years? Honestly for periods it is difficult; for stretches my heart is not in it, sometimes our friends continuously reject opportunities to improve their lives. But what it comes down to is this: this is something tangible God has given me where I can love and obey Him. 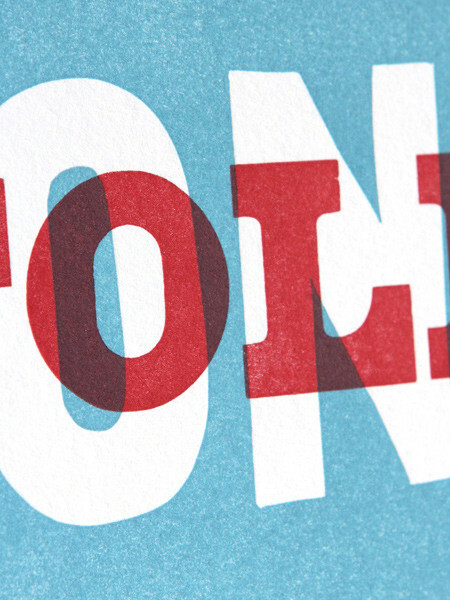 Looking back over the years, is there a particular client who sticks out in your mind? Someone you grew especially close with? Over the years Larry is probably the closest friend I’ve made, but many of you already know him since he has great stories and is fairly loud. David on the other hand is pretty quiet and I’ve known many years. At first he would wait for us, get his bagels and leave without saying anything. Over the years he stuck around longer and opened up with us. We’ve been able to share a lot of life together. One of the most powerful memories came when he showed up after several months of not seeing him. He had been jumped by a group at night in a parking lot. They stole his bike and beat him up so bad he couldn’t walk. He said laying in that parking lot was the loneliest he ever felt. He thanked us for being his friend and that’s the only time he’s said he loved us. He is a good friend and still comes around and tells me that my lemonade is so bad that he’s going to slash my tires. I’m pretty sure you met your wife, Caitlin, serving with Lazarus. Would you like to tell us that story? We did, I had been serving for a few years when she showed up. It was a bit of attraction at first sight. For quite a while, Sundays were the only day we saw each other. Lazarus, then service, and then talking in the church parking lot late into the freezing night. I remember one night at the old building. It was several hours after the church service and we thought we were the last ones left, until we looked up and saw in the second floor church windows the silhouettes of the three pastors watching us. I assume they were enamored with young love, but we decided it was time to head home. Short-term, we help direct people to services; shelters, programs, job postings. But equally important, we are safe people who can give dignity by listening, when most of the time our friends have to have their guards up because of the danger of the streets. In the long-term, we’ve seen people break additions, get jobs and apartments, join the Trinity family, and a few are about to get married. I know Lazarus wasn’t the only ministry to help in their lives but we have been good friends along the way. Try visiting one of the weekly teams. You never know, you might end up with a friend who hasn’t had one in a long time. 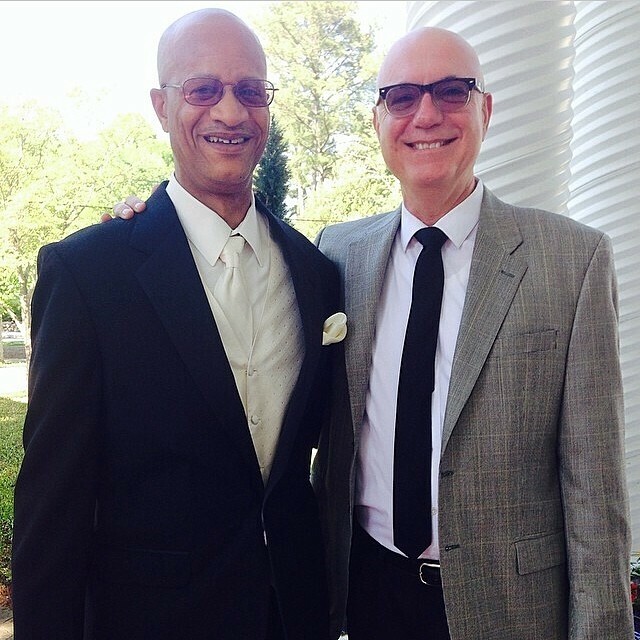 Last January, our community lost a vivacious spirit, a committed servant, and beloved friend. Michelle Trojanowski made room in her life for everyone, and left a gaping hole in our lives in her absence. If all was right in the world, Michelle would be with us now. If all was right, she would have attained all her dreams and had the fulfilling life she longed for. While she was here with us, she drained every bit out of what she was given. She was never satisfied, never lulled into slowing. Though I was really only a peripheral friend, I knew that she would stop for me anytime. She would stop for anyone. She was probably the most driven person I have ever met, and it would have been intimidating, if she wasn’t so incredibly loving. She was gifted with so many talents and used them for the benefit of others. This is our first Health Day without her, and it has been absolutely impossible to replace her. She was more than a volunteer, more than a leader. She was a good friend; a good friend to every person she met whether they lived on the street or worked in a high-rise. The only thing we know how to do, the only thing we CAN do, is to try to honor her memory by telling her story. If only she were here with us–but until that day we see her again, we will share with others the love she shared with everyone she met. Several Lazarus volunteers and friends wrote a piece of the story Michelle shared with them. Take a moment to read what they were so kind to share down below. Take a moment to pray for the loved ones who are grieving her absence. We will never be able to replace Michelle. But we can honor her memory by opening our lives to the broken, the downtrodden, the despised and the hopeless, just as she did, and just as Jesus did. Michelle and I met in the late Spring of 2009. My friend John had given me her email and said “Email her. She can handle any project. She is the most efficient and capable person I know, and she has a huge heart for the poor and overlooked.” Well, I certainly would have to email her with that kind of recommendation! We met and had lunch at Willy’s near East Paces Ferry. I told her about Health Day and found out her story, and we agreed to keep in touch. She signed up for Health Day–I believe it was in the Registration Section (the section she would go on to co-lead with Stephen Ferguson and Cathy Martin in 2010 and 2011). Health Day 2009 came and it was the day the rain began that led to the Atlanta Flood. We serve rain or shine as our friends on the street are there rain or shine. The morning before Health Day, I woke up with a terrible sore throat and was very sick. The rain made it much worse. I am not sure when Michelle learned of my condition and how bad off I was, but somewhere in the afternoon she showed up by my side with tea, soup and a dry t-shirt she had bought at a gas station. While that was special because she and I had just met a couple months before and didn’t really know each other, I learned very quickly that was typical of Michelle. No matter who it was in front of her that had a need, a person she just met, a friend, or a complete stranger, if she could meet that need, she would, and she would do it with that gentle smile. I loved reading her Facebook status updates of her random encounters. And I loved walking alongside her as she worked out how to love faithfully those God put in her path. I first met Michelle in 2009 while serving the homeless outside Gateway Center. I remember discussing our dogs, our jobs, our families, and other things we had in common. Little did we know at the time that we had more in common than we thought! After serving alongside Michelle in Lazarus for a few months, she emailed me on Facebook one day and asked me if my mom’s name was Jane. I replied, “yes” and asked if she knew her. I was shocked when she wrote back and said, “ummm, we’re cousins!” Turns out, she is a cousin from my grandfather’s side that we had lost touch with over the years following his death. Crazy how God works things out! As I got to know Michelle better, I remember being struck time and time again by how genuine she was with everyone. She truly valued every person and took time to really get to know each individual. She didn’t have to say she was a follower of Christ, you could just see it flowing out of her as she spoke and ministered to homeless men and women in Atlanta. When she wasn’t helping out with Lazarus, she was going on mission trips, doing thoughtful things for people, and spending quality time with her friends and family. She really exemplified being the “hands and feet” of Jesus. I think that’s what I’ll remember most about her. I also had the privilege of running the Registration Section at Lazarus Health Day with her for several years. She really had a knack for details and organization but wasn’t afraid to step in and be a go-getter. It was this go-getter mentality that led her to hike Mt. Rainier in January 2012. Even though that adventure didn’t end as we would’ve liked, I believe the Lord used her life in a mighty way to touch those around her and share His message. I think anyone who spent time with her would agree. She will be greatly missed here on Earth, but I know she’s happier than she’s ever been in the Lord’s presence. Michelle, Michelle, Michelle…I just love her spirit. I remember one encounter in particular that sums up the essence of who Michelle was. Around the corner from Gateway Shelter where people from Lazarus usually come to minister to Atlanta’s homeless; a drug infested area, she happened to stop at a traffic light and she called me over to her car to introduce me to her brother. She didn’t care that I was “out there”; homeless and struggling with addiction in a rough neighborhood. She didn’t think of herself as better than me. She humbly called me over and said “Gino, I’d like to introduce you to my brother.” That made me feel good inside. And to top it off; she sweetly said, “Don’t get into any trouble.” That was the Michelle that I love. I can’t wait to see her in Glory. The first time I met Michelle was at one of our weekly Lazarus gatherings. I remember thinking, “Wow, that is one beautiful girl!” It did not take long before I saw that her inward beauty was even greater than her outward beauty. Whether it was meeting the needs of our homeless friends or hosting anyone and everyone at her cozy home, her genuine love for people shined so brightly. I was always so impressed and inspired by her zest for life. She was either creating something cool out of a piece of old furniture, or volunteering at a church event, or doing some crazy, cool outdoorsy adventure. Michelle may not be physically present with us today, but her spirit will never leave us and I look forward to the day that we will all be reunited and can relish in an unfathomably beautiful eternity together. I remember one time when Michelle made chili and cornbread for one of our weekly outings to serve. Michelle worked from home but she was constantly on the phone so work didn’t sometimes end until after 5pm. I got to her house at about 5:15pm and we still needed to go to the grocery store, get all the ingredients, make it all and be downtown by 7pm. I think when most people get off work they take a breath and let their day slow down a bit. Not Michelle. Somehow we got everything ready and down there. I honestly didn’t know chili cooked that quickly. I don’t think Michelle did either. She had a love for Jesus and for others that just kept her going. She was constantly serving and giving her time to others. She never considered how hard something was or how much time she had to do it. If she felt God was leading her to it, then she did it. Michelle Trojanowski was quite an inspiration to all those she came in contact with. I had the pleasure of knowing Michelle for about a year, but her legacy will live with me for much longer. Michelle had a heart for service to others, a love of God, spontaneity, and a love for life. Michelle was hard to pin down, as she was always on the move for meeting new friends and finding opportunities to impact more people. She was an independent person, with strong convictions that never wavered. She would light up a room with her smile. Her sense of humor was like no other. Michelle wasn’t afraid to roll up her sleeves to get dirty. One of her favorite activities was Habitat for Humanity. She also used her house building skills to aid in clean up after the Tornado outbreak in Alabama in 2011. I recall the last time Michelle and I spoke. We had coffee at a local coffee shop around Christmas 2011. Michelle was no stranger to having unfiltered, honest conversations. That was one of the things I loved about her most. I learned a lot more about what motivated her in life during that hour we spent together. Michelle wasn’t too concerned about controlling the future of her life. She was most interested in serving the Lord and seeing where life would take her. She loved the spontaneity of life. Michelle experienced more adventure and made more of a positive impact on the world in her 30 years than many people ever do. I’ll always remember Michelle Trojanowski as being a kind, lovely, compassionate, and life-filled woman. Life is a journey, not a destination… Enjoy every day. That’s what she taught me. Michelle saw potential in everyone. That positive attitude came through, whether she was with her friends or with the people she met through Lazarus. Michelle’s branches still grow and bring the scent of hope into all of our lives. The thing about Michelle, is that everyone has their own special and unique “thing about Michelle”. One of the things that made her so amazing was how she connected so personally to everyone, no matter if they were standing outside Gateway or coming to trinity for the first time or if you had known her all your life. She treated people the same and that was a gift. Every Thursday, when she would come with my team to Gateway she had such a special way of connecting with those there. It wasn’t just about making people feel like she cared, she really and truly did care. She remembered your name. She remembered your circumstance. She remembered and valued who you are as a person. You mattered to her. It wasn’t unusual to see her at Gateway sitting on the sidewalk praying with a young mother or joking around with the older guys or playing with the kids there. She made people feel special, like they really mattered to her, and the truth was that they really did matter to her. The breadth of her capacity to care for people was always so inspiring to me. Her ability to give herself to people was only made possible by her intimate relationship with the Lord, and that was what sustained her lifestyle of giving herself. You felt the love of Christ when you were around her. When I send out my Thursday email reminders to my team, gmail still thinks that I should consider sending the email to her too. At first it was hard to see that little reminder in the corner of my screen but now it is a simple reminder on Thursday’s and everyday, to love others the way she loved people, which in essence, is to love others the way Christ loved. To me, that is the legacy she leaves. 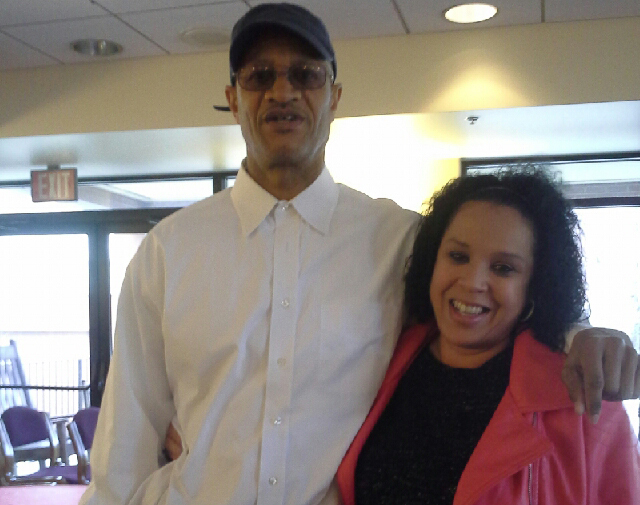 Stanley Thomas, a previous client of Lazarus, and I met at Starbucks a while back to talk about his story. You would never guess it if you’ve had the pleasure of meeting him, but Stanley struggled with an addiction to heroine for thirty years. He didn’t want to glorify or romanticize the addiction that almost destroyed his life, and so I told him that I’d do my best to tell it right. As he got a little older he found his way into the wrong crowd. He made friends that introduced him to things he would have been better off without. After a while his tolerance built up, and as he put it, “curiosity killed the cat.” He experienced heroine for the first time. He continued to use recreationally, on the weekend, until he found it was controlling him, more than he was controlling it. Stanley had a functioning addiction, meaning he was able to keep a series of jobs, until, at 28, he couldn’t hold it all together anymore. He was still living at home and tried to hide it by dressing nice, but eventually the toll he was taking on his body started showing. When it got so bad that he couldn’t hide it, he left home. He didn’t want his mom to see him like that. He went to jail for the first time when he was eighteen. He had taken his brother’s car and was driving it without a license. At age 33, he experienced prison for the first time. “Shoplifting, till tapping, noting, playing con, cashing bad checks”, I learned the definitions of these as he listed all the ways he used to make money to fund his addiction. The last time he went to prison was for selling and possession of crack cocaine within 1000 ft of a church. By this time, he was sober, but still trapped in the only life he knew. He was sentenced to 30 years, but determined to get out much sooner, he put himself into solitary confinement daily in order to spend all of his time working on his case. He spent his days between his cell and the law library, and five years later he got his case thrown out. When he got out of prison, his sister in Alpharetta convinced him to come live with her, so he made his way to Georgia. After a series of events and some months later, he decided to move back to Jacksonville. 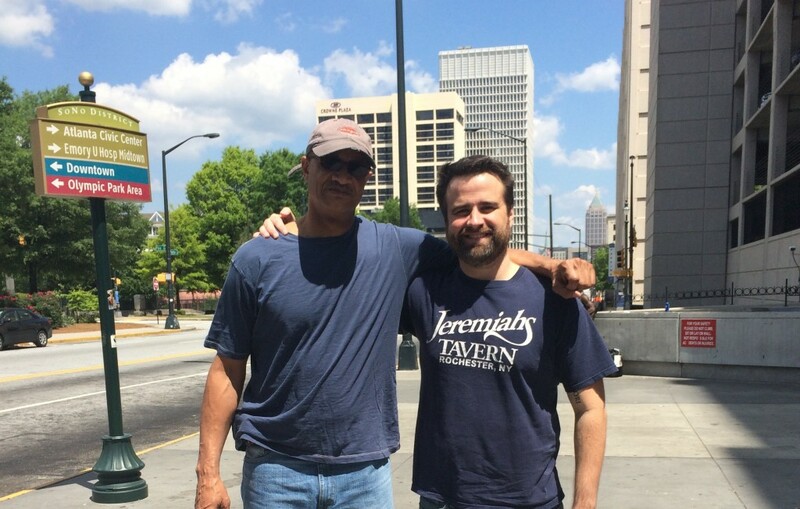 On his way, he found himself stuck on the streets of Atlanta waiting for the Greyhound bus station to open. It was a Friday, and buses would not run until Monday. 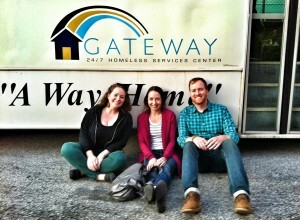 He ran into a man who told him about Gateway–a shelter where he would be able to spend the night. He never made it back to Jacksonville. He stuck around, and one day while he was out looking for a job, he came across a group of Lazarus volunteers. When he found that they attended church, he inquired about whether he could come, and if he had the right clothes to wear. He was interested in visiting trinity, but wasn’t sure that the volunteer would show up to take him. He did. There have been other firsts in Stanley’s life lately. He graduated from the West Care program for people with depression on the 24th of June, and got to wear a cap and gown for the first time in his life as well as receiving a certificate of completion. As a direct answer to prayer, Family Health Care, his health care provider offered him a job as a CPS, Certified Peer Specialist, helping people with drug and alcohol problems. “I’ll be helping people with mental problems and depression, like me. Like a mentor. Someone’s always watching [out for] me.” Stanley is working through the training and application process now. Please pray for Stanley as he works through the application process to be a CPS, and as he continues in recovery from his addiction. Pray for the people he will be able to help as a mentor and friend. Finding herself miles away from her family on Thanksgiving Day in 2000, Allison McGill, decided to volunteer and feed the homeless. 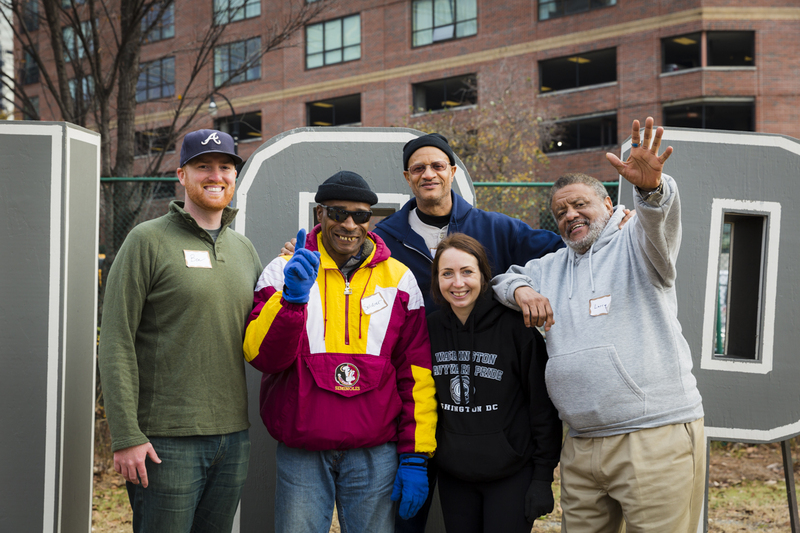 It was the same year that Hosea Williams died, so scores of volunteers came out to serve at Turner Field. Since the volunteers were overflowing, decided to seek out those who were unable to make it to Turner Field. She and a friend bought food and set out to meet with homeless in the area on their own. They decided to do the same thing a week later, which led to the next week, and the next and so on. In January 2001, Kris McDaniel, Allison’s pastor, encouraged her to create the organization that is now Lazarus. A group from the church began going to downtown Atlanta on Sunday nights to handout hot chocolate as a way of engaging the people living on the streets and under nearby bridges. To build on consistent presence, we held what was to become our first annual event, a candlelight Christmas Dinner was held in 2001 and just months later we held our first Super Bowl Party in 2002. Tuesdays and Thursdays were added to the weekly team schedule in the summer of 2006. In 2007 we held our first Health Day event to offer free medical care, haircuts, clothing and fellowship. In 2009 a monthly program was added to aid in writing resumes and job interviewing skills. All of these programs continue on an annual, monthly, or weekly basis today. Lazarus started with two people serving about 20 homeless men and women in the year 2000. 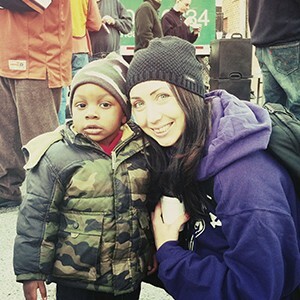 Today, Lazarus has a monthly base of 50 volunteers serving around 5000 homeless men, women, and children. For special events, the volunteer base consists of 300-500 individuals serving 500-1500 homeless individuals per event.